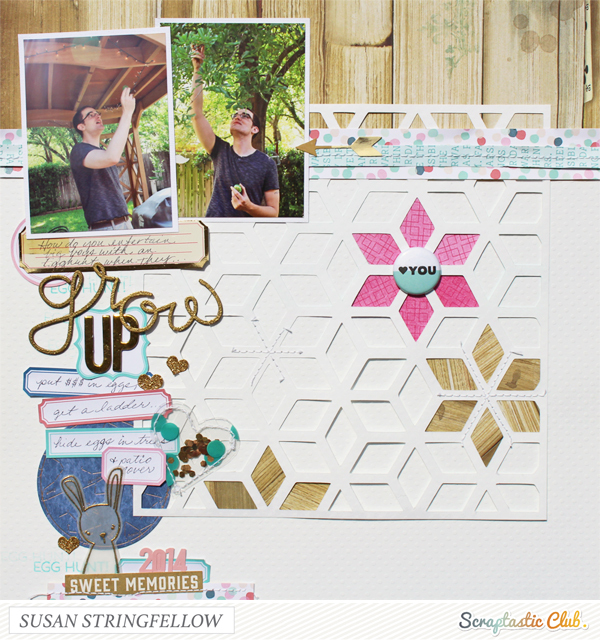 Creatively Savvy: March Sketchy Thursday at Scraptastic! For my page I used the fantastic March Rivers and Roads kit and Add On kit and you really cant go wrong with this kit, but the cut file and printable tags inspired me this time. 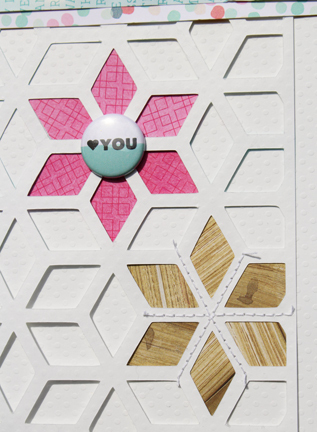 I should mention that at Scraptastic you can also purchase just the two print files and cut files digitally aside from the kits if you love those kinds of things as much as I do. 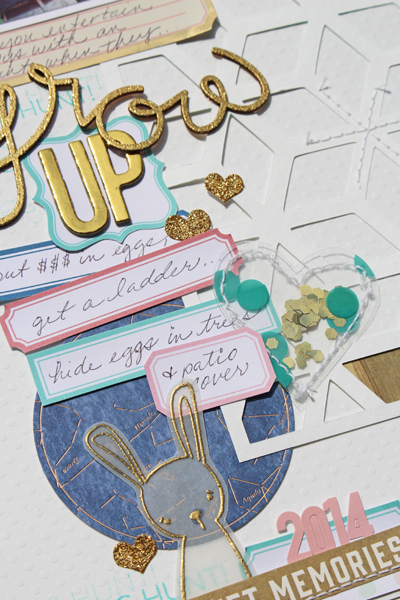 I also added the freaking cute bunny and egg hunt stamps from the Sentiments Series V.6 Stamp Set. My sons are grown but on holidays like Easter you want them to have fun and you have to enjoy messing with them a little. I just have to point out the really nice wood veneer "grow" - It was nice as wood but I wanted it to be gold so I heat embossed it to go with my bunny that I stamped onto vellum and heat embossed. oh also I totally forgot to put the whiskers on my bunny but I still think he is pretty cute.